The epic, nine-film arc of the Skywalker family, as first envisioned by George Lucas back in the 1970s, is finally coming to a close this December. Although the series may have creatively left Lucas’ control some time ago, before Episodes VII, VIII and IX, they still have ultimately remained “Skywalker”-central; an exploration of the lives of Anakin, Luke, Ben Solo and beyond. With the release of Episode IX, it will truly be the end of an era for the Star Wars franchise … and an entrance into the unknown. Hence, why we’re so interesting in this particularly intriguing rumor circulating on the web today. 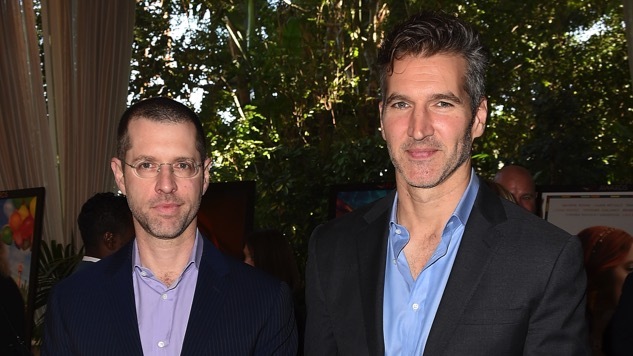 According to major fan site Star Wars News Net, the upcoming trilogy of new films by Game of Thrones showrunners David Benioff and D.B. Weiss will all be set during the days of the Old Republic. This refers to the period of time that is seen in its twilight in the Star Wars prequels, but Benioff and Weiss’ films would presumably be set hundreds or even thousands of years earlier. Which is to say: No Skywalkers at all. So there you go. We have no verification from a second source, but it’s certainly interesting to speculate on a trilogy of GoT-influenced Star Wars movies set during the height of the Old Republic. This corner of the Star Wars universe is a rich vein of potential source material, much of it related to the classic Knights of the Old Republic games by Bioware. Perhaps Benioff and Weiss are planning to focus on the political machinations of a Cersei Lannister-esque ladder climber within the Galactic Senate? Or an invasion of the Old Republic by an extra-galactic threat, not unlike the coming of Daenerys Targaryen to Westeros? The possibilities are endless. One thing is for certain: If this is legit, and the film is due to begin filming in the fall, we should have confirmation of these details sooner rather than later.